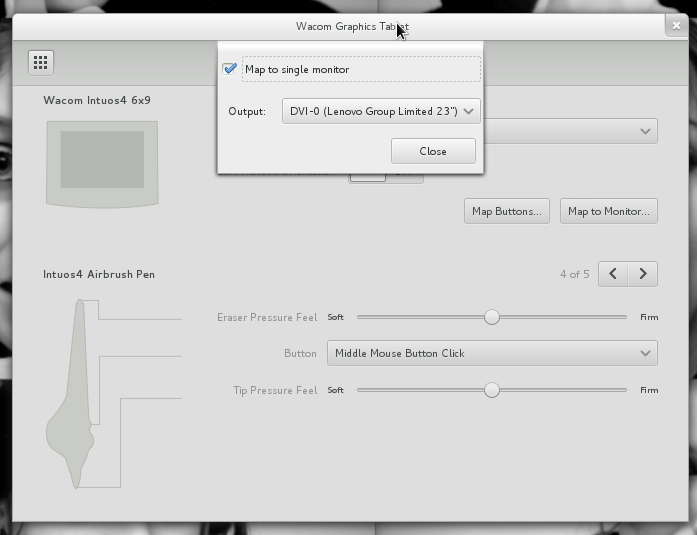 Does or will the Wacom tablets configuration dialog support any tablet other than Wacom tablets? Anonymous: Any that use the Wacom X.org drivers. This is exactly what is needed for multihead touchscreens as well. It would be nice if this would be available for evdev devices with absolute axes.